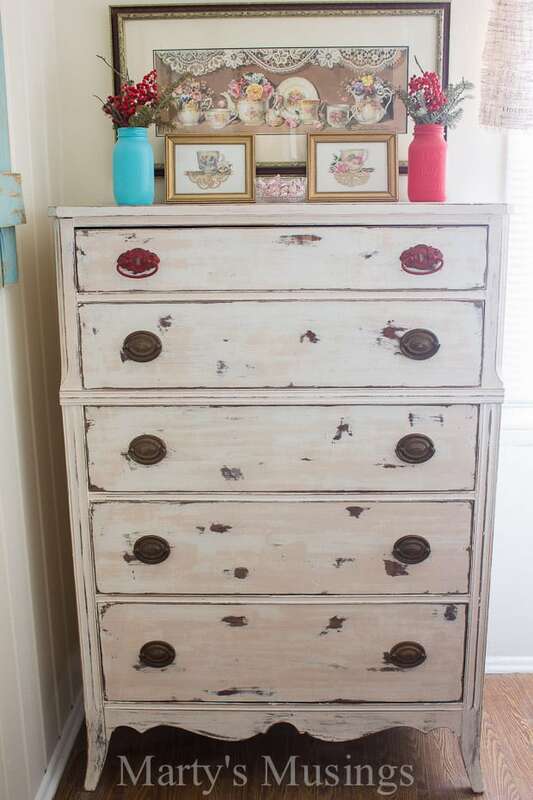 Chalk Painted Dresser: Trash to Treasure Transformation! 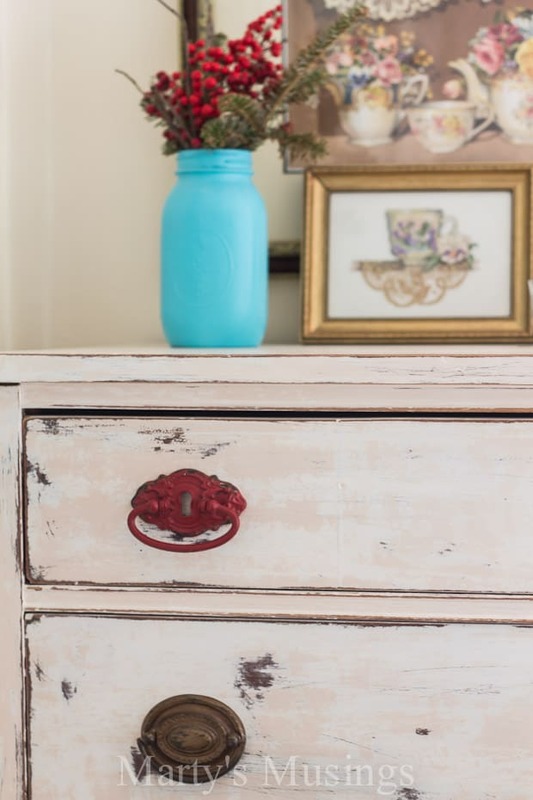 Chalk Painted Dresser: Trash to Treasure! 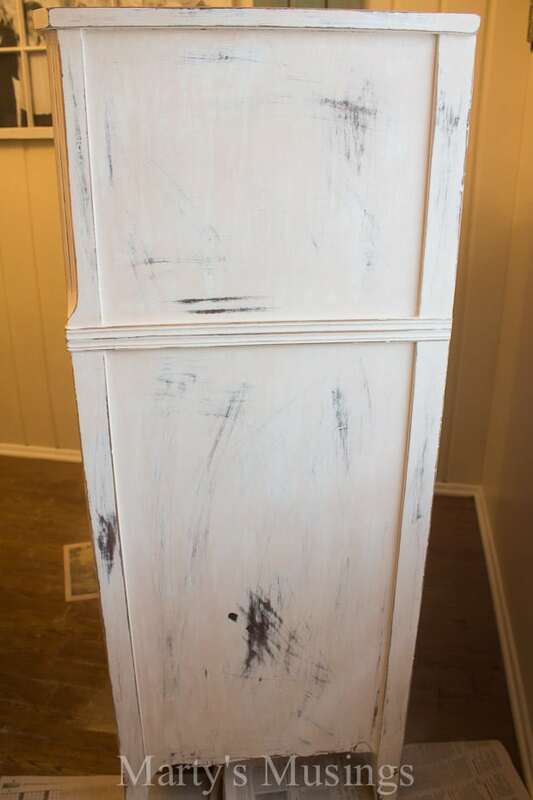 This ugly piece of furniture was found on a curb before it was transformed into a gorgeous chalk painted dresser with paint and a little bit of work! If you follow me on Instagram you might remember this extremely ugly dresser with potential I found on the side of the road back in December. It was such a busy time of year, with my husband’s two surgeries, the birth of our first grandchild and all the normal Christmas activities. One Saturday as I pulled out of the driveway and drove up the street I glanced sideways at an ugly dresser but KEPT ON DRIVING. Then promptly turned around and went back! It was actually at a neighbor’s house about five doors down and I just HAD TO CHECK IT OUT. I opened the drawers. Check. I looked at all sides. Solid. I counted the knobs. Two were missing but I could live with that. 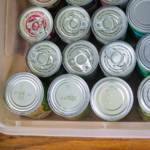 Since this was after my husband’s surgery I knew my teenage son and I would be on our own. Somehow we slung catapulted shoved it into the back of the van and drove home. My ridiculous strong son just wanted to heft it up the driveway but my doubting patient husband was nice enough to suggest taking out the drawers first. Because this was me doing the other half of the work, I flexed my biceps prayed for strength and did my best. And just because I lost my mind I could I decided to chalk paint, distress and wax it right before having company. Because it was Christmas after all and that’s such a stressful relaxing time of year. 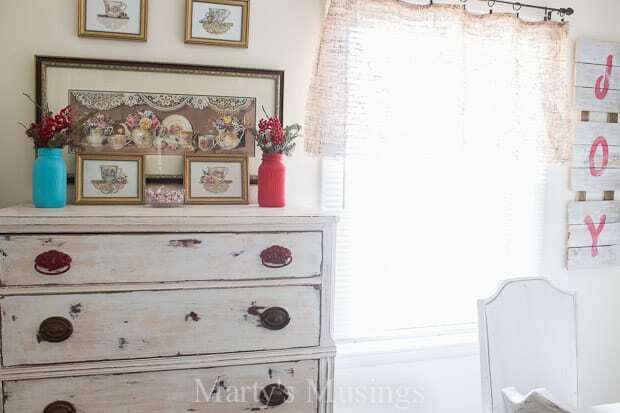 I have to admit Tim actually chalk painted the dresser with his left hand because he’s faster with his non dominant one than I am on with my dominant one! Our neighbor told me he had actually tried to restore the piece but gave up. Their loss, my gain! 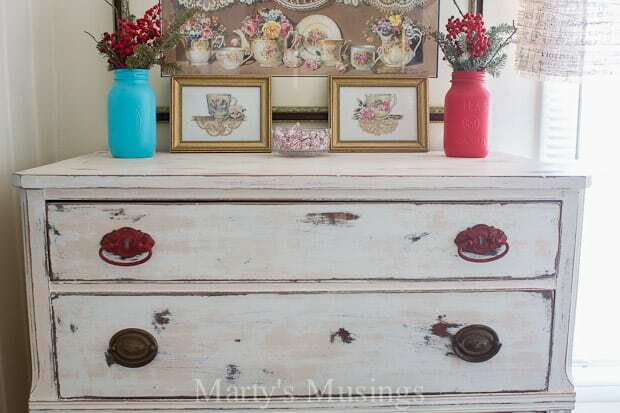 This chalk painted dresser turned out differently than any others we’ve done. For some reason there is a pinkish tint to it even after two coats of chalk paint. Can I just say I LOVE IT?!!! The chest was missing the bottom handles so we bought two on sale half price at Hobby Lobby that I absolutely adore and switched them with the top ones. Photographing food requires at least an inordinate a small amount of dishes and accessories as well as linens. My husband would say I have that all covered! 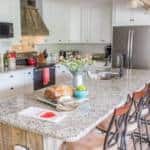 Our new dresser will be perfect for organizing and storing some of those goodies and is a great addition to my aqua and red kitchen. And then it’s yard sale season and I’m back on the hunt! 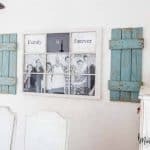 For more of our chalk paint projects check out our 1970’s dated china hutch makeover and kitchen buffet, as well as my painter hubby’s post on everything you need to know to paint a room. Talk about transforming a ‘sow’s ear into a silk purse’! This is a beautiful piece you have the perfect spot for it. 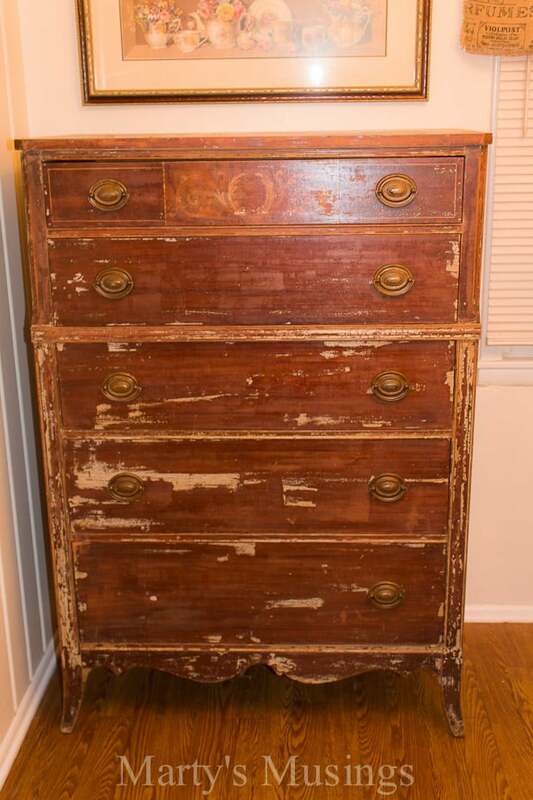 I love the drawer pulls and that detailing on the bottom. Sorry to be so late responding, but thank you for the compliment on our curbside treasure! We love it! One more thing to love. Hi, Valerie. Thank you for the compliment. Chalk painting is really so very easy and you can’t mess it up! It’s all up to your own preference and if you don’t like it you just start over! 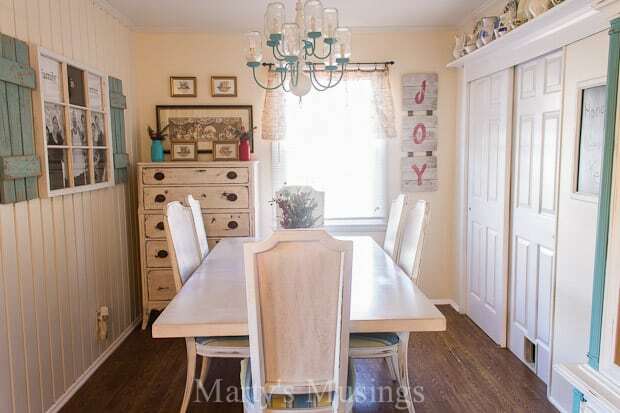 I love the whole room, I think the touch of pink that it is giving off just adds to the room. Great find. Looks fabulous. 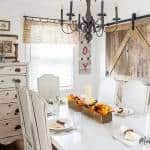 I have had a few pieces get the pinkish or yellowish tent to them and I was told its because of the type of old wood and moisture trapped in the wood bleeding through… at any rate, Ive loved all those pieces anyway. 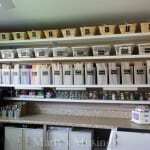 🙂 I paint with BB Frosch powder that I add to all my colors to make chalk paint. chalk painting is seriously the best! Hi, Aurie. I’ve heard that about the type of wood now, too. I want to try the BB Frosch powder as well. I’m just going to have to find some more furniture on the side of the road! 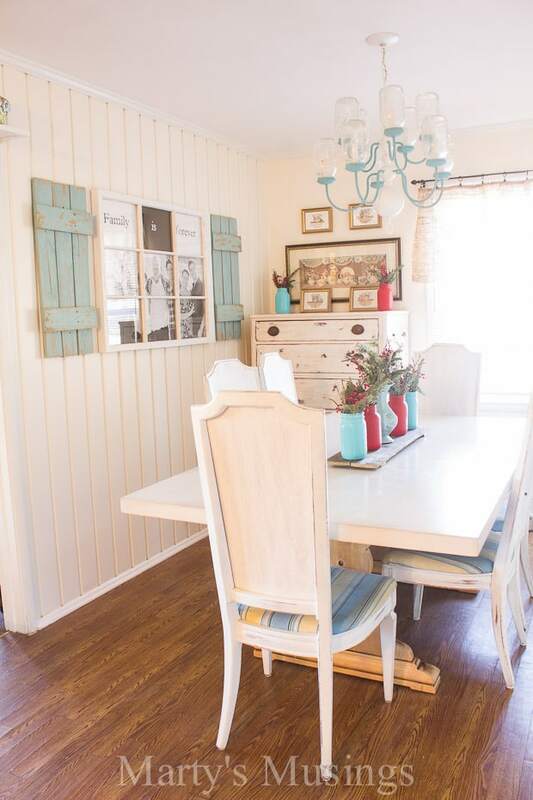 What a beautiful redo! 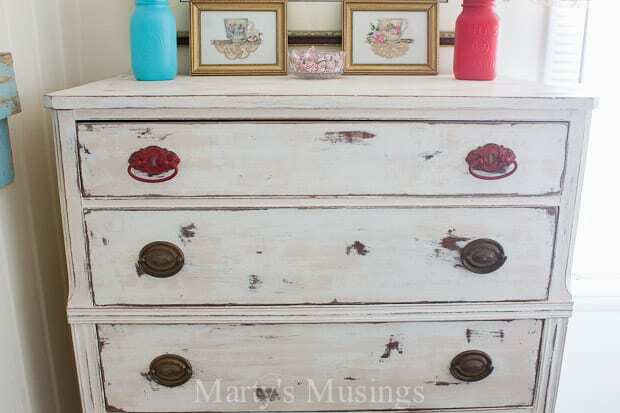 I love the look of chalk paint but haven’t tried it yet. Better put it on my to do list! 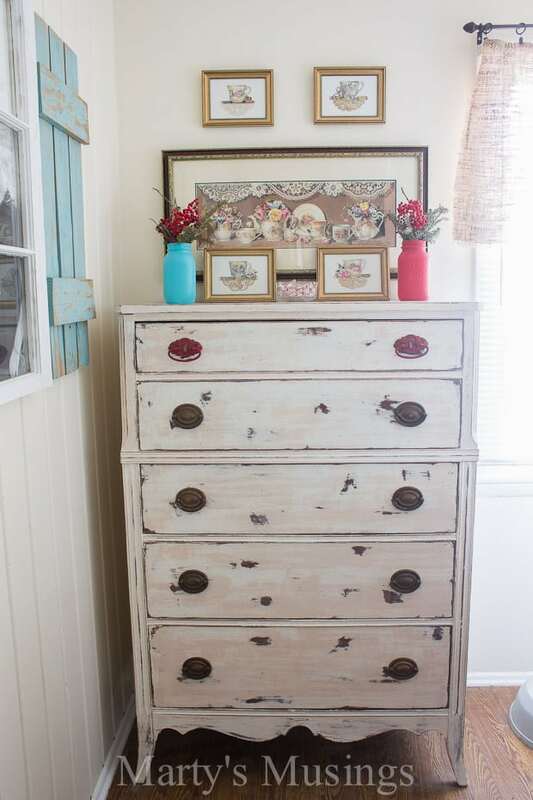 Love what you did with the dresser and how it looks in your room. You’ve inspired me to get out to some yard sales! Thank you, Cathy. 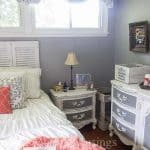 This is one of my favorite makeovers! Love, love! It looks great there! Thanks, Linda! Hope you’ll be able to see it in person soon! Love you!